I’m a strong believer in the mind-body connection. I think attitude has a lot to do with our overall health…especially for patients who have anxiety or stress issues. For them, I often prescribe whatever outlet is most comfortable for them to achieve a state of Zen. That could be yoga, tai chi, or simple meditation – whatever works. In addition to my regular workout routine, I personally practice yoga to bring my body and soul into closer alignment, so I can speak first-hand about the benefits. However, this isn’t just me speaking from my pulpit. Research has shown how stress can upset your hormonal balance and disrupt cortisol (a life-sustaining hormone, commonly called the stress hormone), insulin and thyroid levels, and wreak havoc with overall health. Research also has shown that relaxation methods, such as yoga and meditation, can help defuse cortisol, insulin, and thyroid spikes, enabling you to feel better…and live better. As an added benefit, it’s also good for your heart. Cardiovascular disease and metabolic syndrome (a combination of factors that increase the risk of heart disease) have become two of the leading health concerns among Americans. 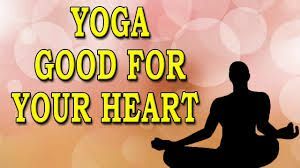 But a study conducted in the Netherlands suggests yoga can help improve cardio-metabolic health by improving body mass index, blood pressure, cholesterol and triglyceride levels, and heart rate among adults. Various meditation techniques seek many of the same goals – including a reduction in stress, improved concentration, greater self-awareness and a boost in our feelings and thought process. Meditation is a great way to slow down…shut out the distractions…and focus on inner wellbeing, which also affects our overall health. As a cardiologist who sees value in both traditional and complementary medical practices, and whose mission is to help patients live better through personalized evaluation, education and empowerment, I embrace whatever works for each individual. For virtually all my patients, some form of meditation, yoga or tai chi is on the path toward enhanced overall health. Try it. It may be right for you, too!